Dr. Fadi Sarkis is a Board Certified Chiropractor licensed to practice in New Jersey and New York area. Dr.Sarkis received his undergraduate degree from Rutgers University and his doctorate of Chiropractic from University of Bridgeport College of Chiropractic. Dr.Sarkis provides a variety of non-invasive modalities and physical treatments. He also specializes in the treatment of pregnant women and is certified in the Webster Technique. Our conservative treatments for pregnant patients is to help them have a safe and easy delivery. 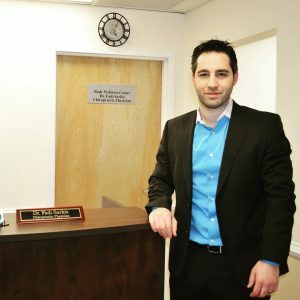 Dr. Sarkis also utilizes various modern techniques along with Chiropractic Manipulation therapy to help his patients get back to their optimal health.